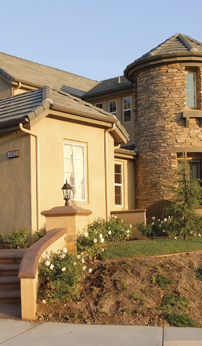 All Points Home Inspections LLC is the premier home inspection company in the entire Denver, Colorado area. We have been trusted by home buyers to help them make informed buying decisions. Our home inspections typically range from 2-4 hours long depending on the size, condition and age of the house. You are invited and encouraged to follow along with your inspector as they perform their inspection. WE ARE MEMBERS OF NACBI: National Association of Commercial Building Inspectors. When the inspection is over, your inspector will prepare a detailed inspection report regarding the property. The report will be provided to you within 24 hours. "David did a great job inspecting my home and found a major problem with my Sump pump. with this discovery he saved my family from health concerns and costly repairs. GREAT JOB!!!" Thank you I was very impressed with my inspection. David right away set me at ease and answered any of the questions I had during the inspection. His report that was emailed to me in a very short period of time was precise, well put together and easy to understand. He also went out of his way in providing me a letter that I needed after the fact. He was professional and genuine. This is something very rare and hard to find. I will definitely recommend his services to everyone. Thank you!! Call us today at 720-217-7821 to book your home inspection! Denver Home Inspector, Denver Commercial Inspector, Colorado Commercial Inspector, Property Condition Assessment, Aurora, Cherry Creek, Greenwood Village, Centennial, Parker, Lone Tree, Highlands Ranch, Englewood, Littleton, Lakewood, Golden, Morrison,Wheat Ridge, Arvada, Westminster, Northglenn, Thornton, Commerce City, Castle Rock, Colorado Home Inspector, Denver Home Inspection, Denver Condo Inspection, Buyers Inspection, Sellers Inspection. Move In Certified, Denver Home Inspection Company.